Violence flared in Syria almost three years ago when the first small-scale anti-government protest was nipped in the bud by the government forces in Daraa – a city in southwestern Syria. As an initially-soft uprising, the protest has morphed into a large-scale civil war that is increasingly pulling the country down the abyss of bloodshed polarizing the Middle East along multiple lines of sectarian violence, regional proxy wars and age-old rivalries. To date, many have rapped Assad’s regime across the knuckles on grounds of human rights violation; but despite mounting international pressures, including military strike threats from the U.S. and its allies, the Syrian government has not shown any compliance so far. Given the bitter jockeying between the U.S. and Russia, each taking a different side in the Syrian conflict – a tense rivalry reminiscent of the Cold War dynamics – many see it as an American weakness, doubting whether the U.S. is giving up so easily on a rogue regime! Many have already pointed an accusing finger at the Obama administration for letting the conflict grow out of control by blowing hot and cold about the fate of Assad’s regime. The violence in Syria has ever since the beginning of the uprising in March, 2011 been on the rise until it reached a crescendo on August 21, 2013, when the Assad government killed more than 1400 people in a large-scale systematic sarin gas attack in the Damascus area. The Syrian Observatory for Human Rights has documented about 126,000 casualties []. Besides this horrendous toll, the number of Syrian refugees in dire need of international humanitarian assistance, over 2.14 million, is another appalling fact of the crisis in the country. Reportedly, these refugees have taken refuge in Jordan, Lebanon, Turkey, Iraq, Egypt and North Africa []. Given American long record in dealing with tensions like this which had previously jeopardized American strategic imperatives in the region (Ryan, 2010) – rising to power of some regional hegemons like Saddam Hussein and Gadhafi – many expected the Obama administration to come down hard on Assad’s regime likewise. In spite of the fact that U.S. senior officials have publicly and vociferously reiterated that Syrian government had crossed the red lines drawn by the U.S., their diplomacy toward Syria has fallen short of bearing the desired fruits; namely, the ouster of Assad and an end to the conflict, something which was within the interest of the U.S. allies too. The disillusionment with American barren approach to tackling Syrian crisis came to head in the wake of Syrian government’s outrageous violation of international norms in August 2013, when Barack Obama decided to consult the Congress before launching any military strikes on Syria. This stance came as a surprise to friends and foes alike as the American discontented partners – the Gulf States as well as Israel – saw it as an unbecoming volte-face. Their dissatisfaction with the new course of events transpiring in the region reached breaking point particularly after the interim agreement clinched between Iran and P5+1 over the former nuclear program in November 2013, which partly froze Iran’s nuclear activities in return for partial relief of sanctions. This soul-searching on the part of the Obama administration can have certain implications for the region and for the American credibility and power there, not to mention the global repercussions. The reluctance shown by the U.S. in dealing with the Syrian upheaval would send a message to the other countries with ambitious agendas in the region like Iran with its nuclear issue. There are also far-reaching implications for American regional allies, particularly Israel, which is absolutely dismayed by American lackadaisical approach to Iran calling the temporary peace in Geneva “a historic mistake” that, according to Netanyahu, would “make the world a much more dangerous place” []. In view of Obama’s diplomatic solutions to both Syrian conflict and Iranian nuclear issue, some critics believe “Obama has ignored his own “red line,” and in the process, has hurt his own credibility as “a presidential threat-maker”; he has also “signaled to Iran that it can safely ignore his warnings against developing a nuclear weapon” []. According to them, this vacillation not only will undermine American credibility and power, but will embolden other undemocratic regimes that their acts of violence would also go unchecked. U.S.-Russian long-standing rivalry for supremacy in the region has also added a new dimension to the Syrian equation. Advocating opposing sides in the conflict – the U.S. backing the opposition and Russia backing the government – the rivals are actively seeking to stand their ground and carry the day. This age-old rivalry, a staple of the Cold War, was embodied in the context of Geneva talks between America and Russia on the future of Syria, which called upon the U.N. to intervene by adopting September’s unanimous Security Council resolution endorsing the elimination of Syria’s chemical weapons. The outcome turned out to be in favor of Russia’s overtures demanding that a deadline be given to the Syrian government to hand-over its chemical stockpile to be dismantled. In this light, it could be interpreted as an American foreign policy fiasco in countering its old rival. As for the Gulf states like Saudi Arabia and Qatar, which fear the spillover of insurgency into their own territories, they would not countenance this shift of American foreign policy orientation in the region claiming that the foreign policy choices being made by the West particularly the U.S. “risk the stability of the region and, potentially, the security of the whole Arab world” []. As a potent gesture of disappointment that resulted in Saudi Arabia’s rejection of U.N. seat in October 2013, the Saudi Foreign Ministry denounced the Security Council due to its “inability to resolve the Syrian civil war and Israeli-Palestinian conflict and to convene a conference on creating a Mideast zone free of weapons of mass destruction” []. Saudi Arabia also saw the warming US-Iran relationship as a major threat to its position in the region. The rich tiny Gulf state, Qatar, is also playing a fundamental role in the regional crisis by overtly supporting the rebel factions in a push to turn the tide of the conflict in favor of the majority Sunni rebels fighting Assad’s minority Alawite sect, an offshoot of Shiite Islam “providing them with military and financial support and calling for an Arab force to end bloodshed if international diplomatic efforts fail” []. The intensely chaotic situation in Syria is complicating the matters even further. The opposition is not a united front in Syria and it is divided along multiple lines including sectarian and political. They are deeply fractious, so much so that “the wide variety of political groups exiled dissidents, grassroots activists and armed militants have been unable to agree on how to overthrow President Bashar al-Assad” []. So far the National Coalition in Syria comprised of many factions has been unable to rein in the Syrian rebel forces including the militant jihadists. Two main branches of the armed militants in the opposition are the radical Islamists, the Nusrat Front (Jabhat al-Nusra) and Islamic State of Iraq and Syria (ISIS), who are affiliated to al-Qaeda. “Syrian opposition leaders report an alarming growth within their ranks of fighters from Jabhat al-Nusra, an extremist group linked to al-Qaeda” [].The Jabhat group now has somewhere between 6,000 and 10,000 fighters, according to officials of an non-governmental organization that represents the more moderate wing of the Free Syrian Army (FSA). They say that the al-Qaeda affiliate now accounts for 7.5 percent to 9 percent of the Free Syrian Army’s total fighters” []. 1) An American military strike would probably drag Russia and Iran – the major backers of the Assad’s regime – into the brawl. This direct confrontation would ignite the flames of regional wars that would further transform into a large-scale crisis destabilizing the region and putting the western strategic imperatives at stake. 2) The opposition is rent asunder and there is no single authority to hold away over their camp. In this regard, the future of the civil-war-torn country is murky as the leader of al-Nusra declared in an interview in December 2013 that they would not accept the outcome of the upcoming Geneva II scheduled for 22nd January as Assad is not a legitimate representative of the Syrian people. There is a strong likelihood therefore that the power vacuum left after Assad’s fall will be filled by extreme elements within the opposition. In this view, the U.S. and the West misgivings about the fate of Syria after Assad, and their deep anxieties over the recipient of the arms and money are sufficiently grounded in facts. 3) The future of a peaceful solution to the Iranian nuclear program would have been in the balance had the U.S. adopted a military solution to resolve the Syrian crisis. Being Iran’s primary Middle Eastern ally, Syria’s future will be of great significance to the country, and a military strike against Syria would unleash Iran’s retaliatory force to respond in kind and strike Israel through its military arm in Lebanon as the country’s top officials’ repeated waves of saber-rattling against Israel had shown. 4) Last but not least, the Obama’s thrust without an international consensus would leave a unilateralist image. Ever since their assumption of power in the U.S. the Obama administration has endeavored to distance itself from the unilateralist and unipolar cloak cast upon America as a staple of George W. Bush’s legacy (Feste, 2011). By overlooking the absence of international consensus over the Syrian conflict – particularly the existing strong support of Assad’s regime by Russia, China and Iran – and launching strikes on Syria before authorization of the UN Security Council, the Obama administration would probably be accused of the same follies of his predecessor. 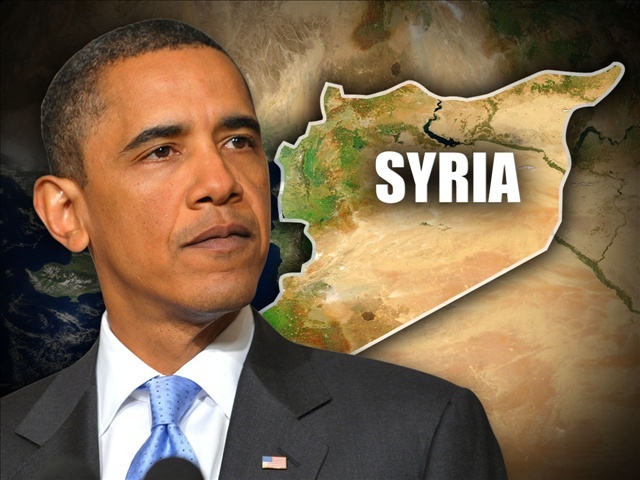 Consequently, in view of the above-mentioned reasons it is important to note that although America may come across weak in tackling the Syrian conflict by showing reluctance and hesitation – a weakness which could be compounded in the context of a Russian victory – the Obama administration’s stance is justified considering the intense ramifications of an American unilateral strike against Syria. In fact, Obama has opted for the lesser of two evils; that is, by comparing the costs and benefits of two alternatives – soft power and hard power – he could not afford destabilizing the strategic region by leaving Syria in the hands of radical Islamists after Assad; sabotaging the chances of a diplomatic agreement with Iran which could impinge upon the future of Syrian conflict; and tarnishing his own administration by the same faults connected to George Bush. Seyed Mostafa Mousavipour holds a postgraduate degree in British Studies from the Faculty of World Studies (FWS), University of Tehran, Iran. Feste, K. A. (2011). America responds to terrorism : conflict resolution strategies of Clinton, Bush, and Obama. New York: PALGRAVE MACMILLAN®. Ryan, M. (2010). Neoconservatism and the New American Century. New York: Palgrave Macmillan.